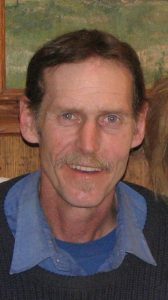 Home Obituaries Robert Hampton Brown Jr.
Robert (“Bob”) Hampton Brown Jr. died unexpectedly on Wednesday, Nov. 14, 2018, at the age of 70. He had been living with his longtime girlfriend, Jean Lubold, in Millerton, N.Y. She predeceased him by only one month. Born in Washington, D.C., on Feb. 23, 1948, to Robert Hampton Brown Sr. and Josephine Heitmuller Brown Chifari, he is survived by his three children, Jeremiah Brown and his wife Janice Haynes of West Tisbury, and Reuben Brown and Naomi Brown of Vineyard Haven; his ex-wife Lynne Irons; grandsons Michael Maynard, Christian Flanders and his wife Ellie; granddaughter Violet Southwick; great-grandson Zappa Maynard; and his siblings Nancy Lyons of Normal, Ill., Janet Bowman of Coconut Creek, Fla., and Barbara (Donald) Atwood of Front Royal, Va. He is also survived by nine nephews and eight nieces, 24 grand-nephews, and 33 grand-nieces, and 13 great-nephews and 12 great-nieces. He was also predeceased by his sister Mary (Jill) Kinser and husband Robert (Bob) Kinser of Statesville, N.C.
Bob lived and worked as a carpenter on Martha’s Vineyard in the ’60s, ’70s, and ’80s, and visited periodically after that. A private family service will be held after the holidays. Feel free to contact his son Jeremiah for more information if you would like to attend.